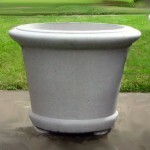 Brookfield products are cast of fiber reinforced concrete. 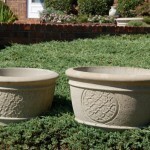 This material has great weather resistance, less porosity and greater flexibility than other materials, thus allowing these planters to be used outdoors indefinitely in virtually any climate or location. 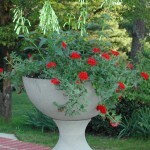 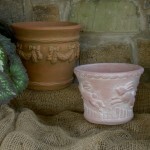 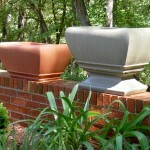 An applied surface, such as paint, will adhere dependably to Brookfield Planters. 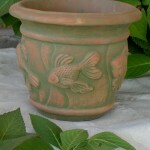 Products are available in a variety of colors and finishes; many are also available with a textured surface. 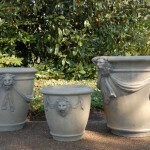 These elegant containers feature magnificently sculpted lions’ heads – four on the Large Lion Planter, three on the Medium, two on the Small – and a graceful drape motif. 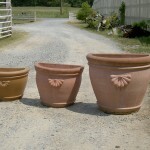 Available in large, medium and small. 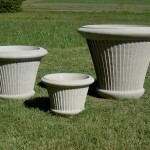 Designed with a carved “pleated” design that would fit any situation from traditional to contemporary. 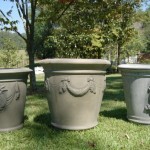 Available in textured surfaces only. 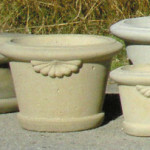 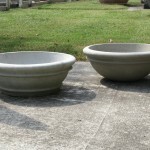 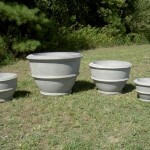 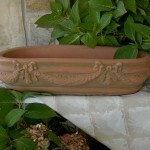 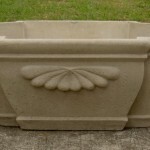 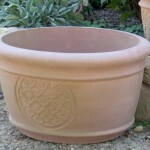 The Estate, Plantation, Chateau and Townhouse are a related selection of planters with the same styling, offering varied sizes fro almost any commercial or residential application. 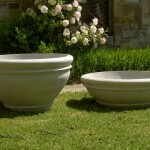 The “half” versions, which fit flush against a wall, are particularly useful where space is at a premium. 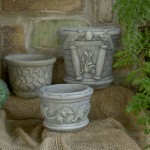 This collection available without shell motif handle. 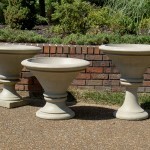 Specify when ordering. 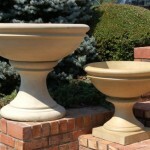 The contemporary lines of the Anderson Group enhance any garden setting – the monumental Mammoth and Large Anderson Planters are quite heavy and stable enough for the cityscape with the Small Anderson and Anderson Jr. as logical choices for groupings. 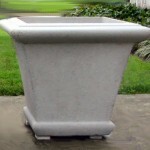 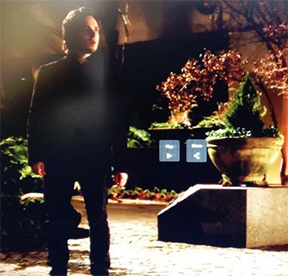 #064 Jackson Urn, Dia. 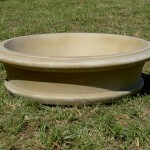 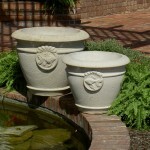 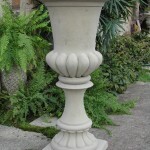 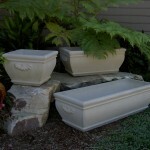 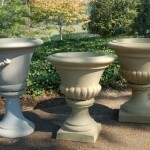 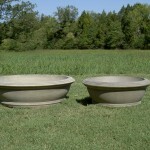 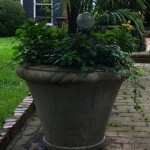 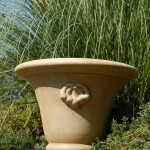 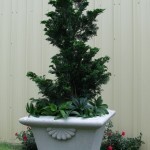 : 20 3/4″; Height: 20″, Graceful and simple, this newest urn design has great lines!